On behalf of our entire team, we wish you a fabulous Christmas Day! Last night for Christmas Eve we had our friend Colleen over. Of course, what’s Christmas without Chevy Chase in the National Lampoon’s Christmas Vacation? We laughed our way through this. The nutty squirrel I think is my most favourite part that makes me laugh the hardest. Of my most favourite Christmas Movies in recent years, the Polar Express has turned into a movie I really love to watch. I love the creativity and story line as a whole. It’s intertwined with magic, mystery and life lessons. Daniel and I’s gift to ourselves is to give our home a facelift wall colour decor. We are busy doing minor repairs and a whole lot of painting. 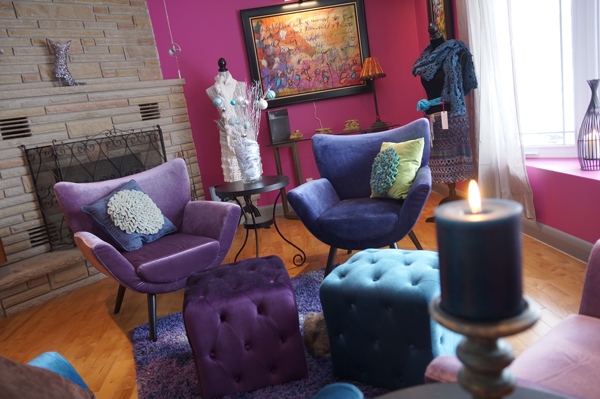 We are converting our home from a neutral look to a very vibrant and creative space. Our home is our workplace. We both dream in technicolour and would like our home to reflect our inner selves. We want to be done by the middle of next week and get our house back in order to begin our regular work schedule again in the new year. Tell me, what is the most critical element when you decide your decor? Do you have a style that you most prefer? This entry was posted in Christmas and tagged Chevy Chase, crochet crowd, Holidays, Mikey, National Lampoon, National Lampoons Christmas Vacation, Polar Express. Bookmark the permalink. I LOVE what you have posted already and I know it will be GREAT once it is all done! Wishing you both and your staff a Merry Christmas and a Happy New Year! I’m excited to see and read what will come in 2014! Love the color you two chose to have! Merry Christmas or is it Boxing Day in Ca. ( 26th ) Which ever y’all choose to celebrate Enjoy! Merry Christmas to you both. As renters, we are pretty much stuck with the “magnolia” on the walls, so, bith of us are “arty” and part of my collection is hung, and a lot “sits around” and that helps. We live in a beautiful pre-war duplex, with the original deco chandilers and curves and tin ceilings. But, sadly, with 4 small cabinets in the kitchen. I’m goung to get some of those stand aline beadboard pantry clisets soon as I can afford them to expand some storage. My spouse made me an upcycled craft station for all of $5. We’d been looking at options, and she picked up an old drafting table at the college and came home dragging a curbsude kitchen table. A morning’s fiddling, and PRESTO, a table with plenty of room and a permanent yardstick wherw I can sew or craft or semi scrap that’s big enough for even me! Timing is everything, right? Last night I had the pleasure of going to a Christmas Party at a friends home. Having never been there before I was so excited to see that their home reflected them at every turn. They are happy, hard working, and calm with occasional bursts of uncontrolled giggles. So is their home. ;). Collect what you love, Mikey, and it will all come together.Merry Christmas to you and Dan, Sweetheart! My hubby is minimalist style for decor I am a chotchkie person, somehow we make it work….love neutrals and accent with pops of color.